Citation: Earth Satellite Corporation. 2004. Landsat GeoCover (specify 2000/ETM+ or 1990/TM) Edition Mosaics; Tile (specify #). Sioux Falls, South Dakota: USGS. Source: As a courtesy, please credit the Global Land Cover Facility (GLCF) as the source for this dataset in some manner. Our suggestion: Source for this dataset was the Global Land Cover Facility, http://www.landcover.org. Intellectual Property Rights: USGS & NASA; use is free to all; The U.S. Government holds the ultimate ownership. 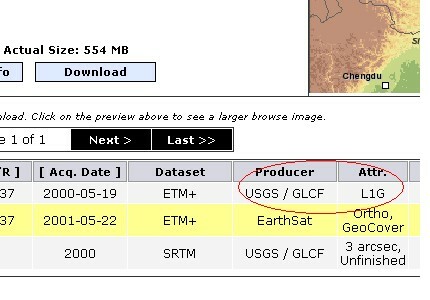 See USGS Citation for further details.